The publication of the symposium is now available. 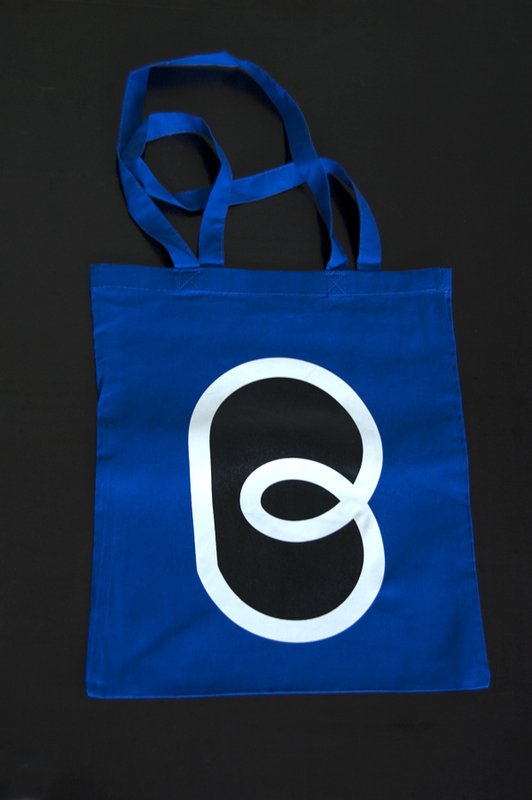 We sell it in a package together with our beautiful babel bags for as low as 15€. Stefan Sagmeister once remarked that a famous graphic designer is about as important to society as a famous electrician. There is no point in discussing the justness of this fact. The quotation still describes the relationship of graphic design and society in 2013, and probably for a long time to come. 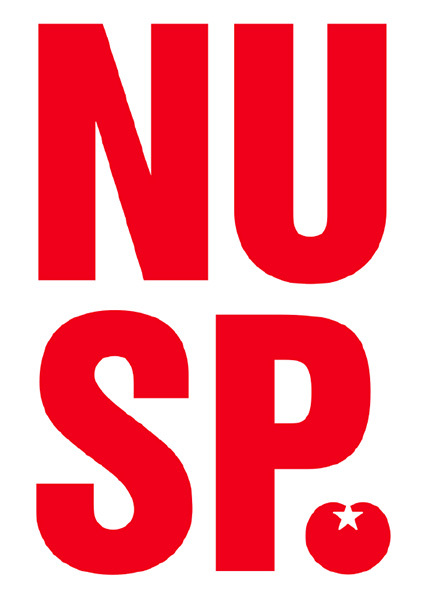 Although typographers and graphic designers increasingly see themselves as producers of cultural capital relevant to society, they do not necessarily receive mutual recognition because of that. However, the digital world has obviously changed the way graphic designers see each other. They are aware of each other, blogging, networking and »liking« one another – creating a big, international »community« that gives each other the acknowledgment refused elsewhere. 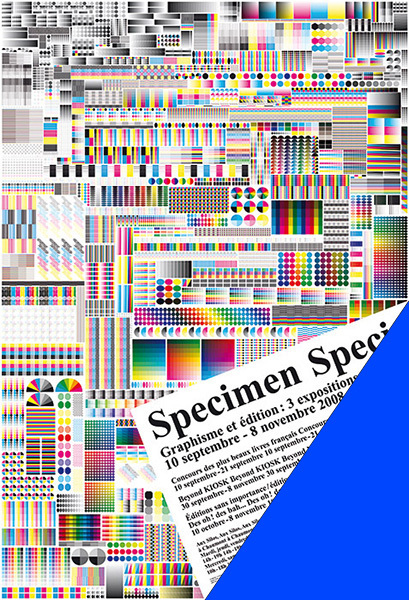 Has graphic design changed as a result of this new visibility and active exchange? Does this new »community» stand for itself, not only emancipating itself, but equally withdrawing from real »society«? Are there more forms of expression or has mainstream grown? Is the new sense of one’s worth the first step to achieving recognition by society – is the golden age of graphic design yet to come? 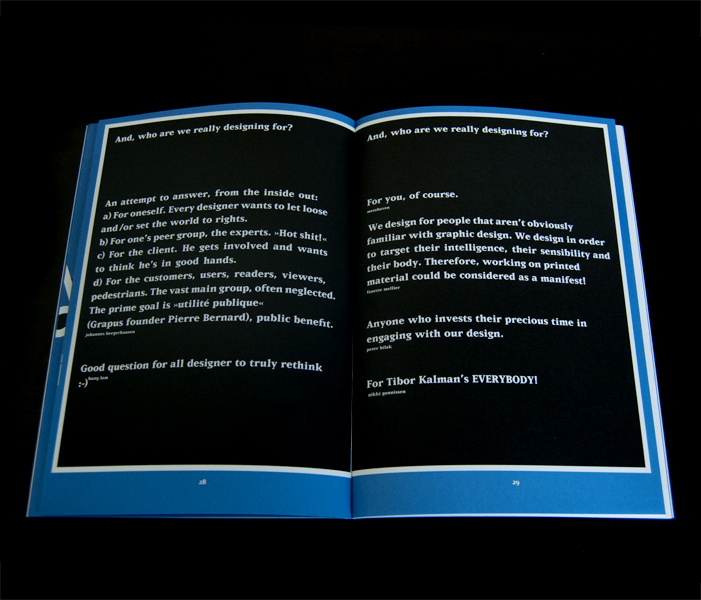 And, who are we really designing for? Will Hudson is the founder and director of It's Nice That, a London based publishing platform focused on champ­ioning creativity across the art and design world. 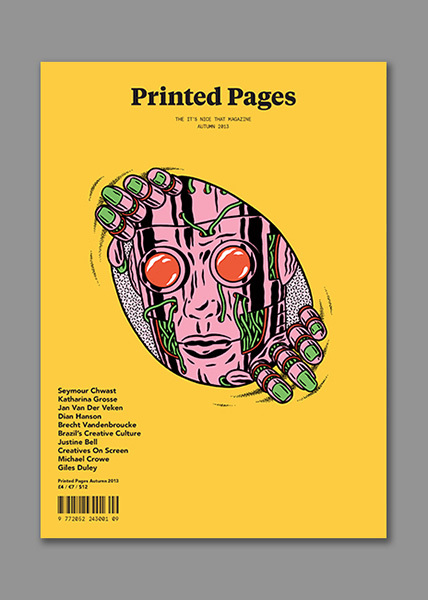 It's Nice That do this by pub­lishing work online, through their magazine and programme of events. Will is also co-founder and director of INT Works. 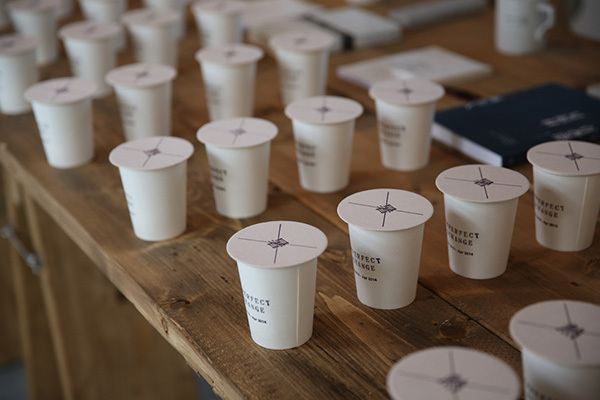 The independent studio are all about understanding brands to deliver creative solutions with meaningful results. Clients include Nike, Channel 4 and MTV. 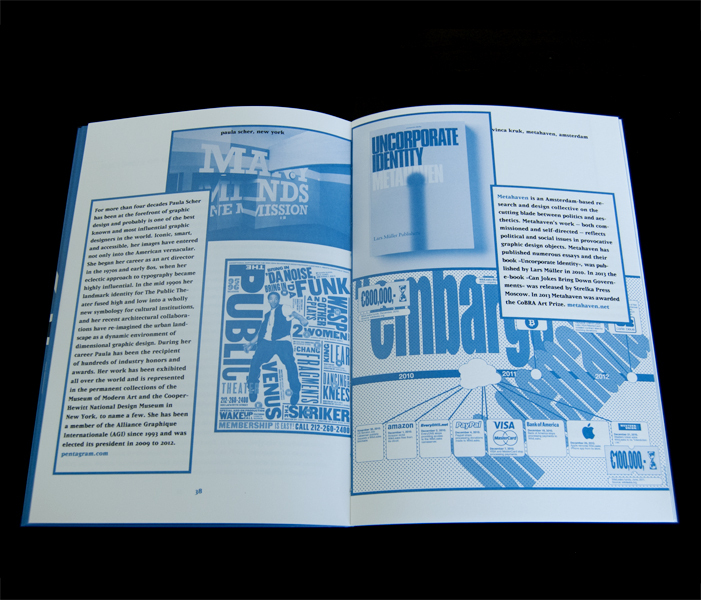 Adrian Shaughnessy is a graphic designer, writer and educator. 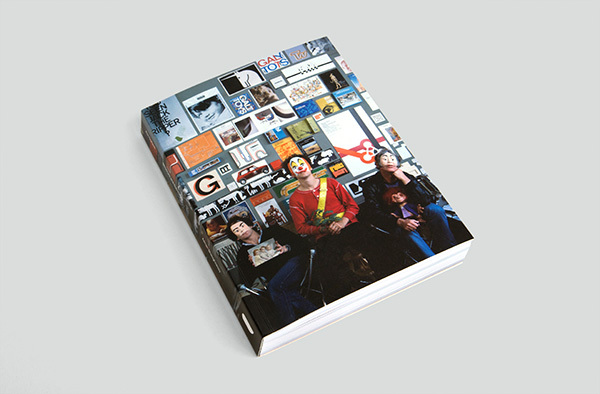 He has written and art directed numerous books on design, and has been interviewed frequently on television and radio. He lectures extensively around the world. 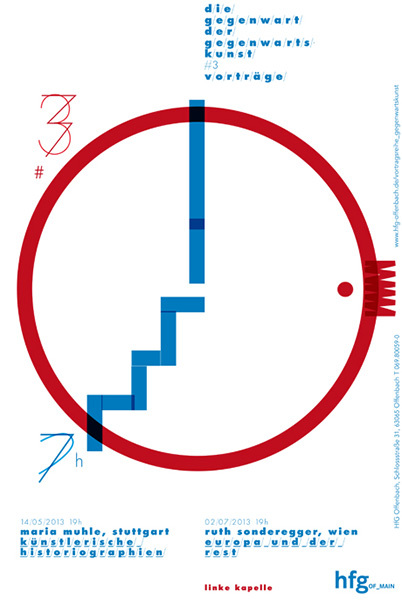 He is a senior tutor in graphic design at the Royal College of Art, London. His book »How to be a Graphic Designer Without Losing Your Soul«, has sold 80,000 copies to date. 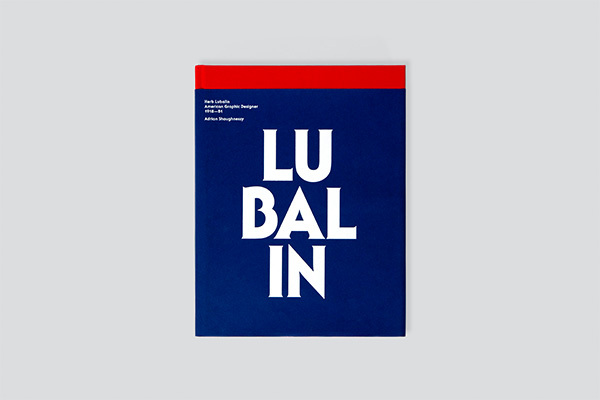 Adrian is also one of the driving forces behind »Unit Editions« a progressive publishing venture producing high-quality, affordable books on graphic design and visual culture. Metahaven is an Amsterdam-based research and design collective on the cutting blade between politics and aesthetics. Metahaven's work—both commissioned and self-directed—reflects political and social issues in provocative graphic design objects. 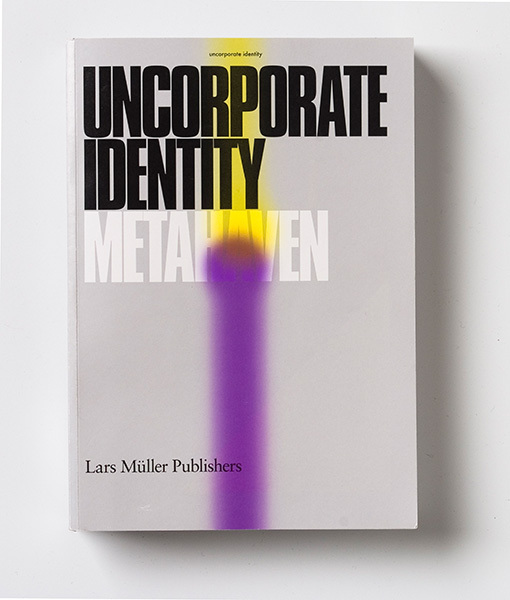 Metahaven has published numerous essays and their book Uncorporate Identity, was published by Lars Müller in 2010. In 2013 the e-book Can Jokes Bring Down Govern­ments was released by Strelka Press Moscow. In 2013 Metahaven was awarded the CoBRA Art Prize. Nikki Gonnissen is co-founder and creative director of the Amsterdam-based graphic design studio Thonik, established in 1993. The studio specialises in graphic design, corporate identity and visual branding for clients in the public and cultural sectors. Recent cultural clients include Spiral Art Center in Tokyo, Museum Marta Herford in Germany and Museum Boijmans Van Beuningen in Rotterdam. 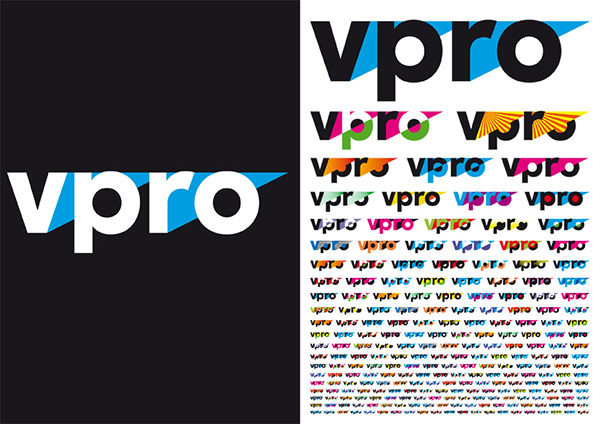 In the public sector the studio works for the Dutch central government, local councils, a major Dutch political party and broadcast corporation VPRO. Nikki Gonnissen is actively involved in the debate about design. She teaches at the masters of the Design Academy Eindhoven. She is a visiting lecturer and a member of various art and design committees. 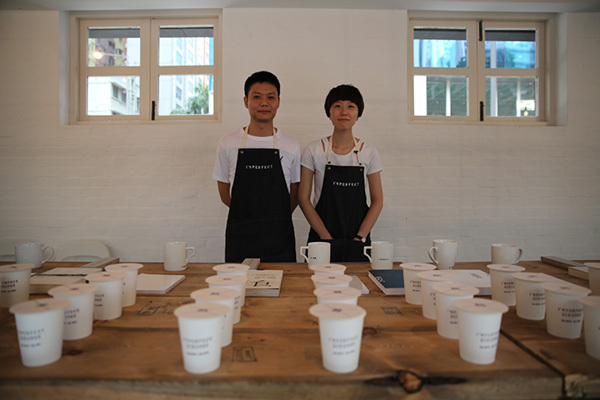 Hung Lam co-founded CoDesign Ltd with Eddy Yu in 2003. 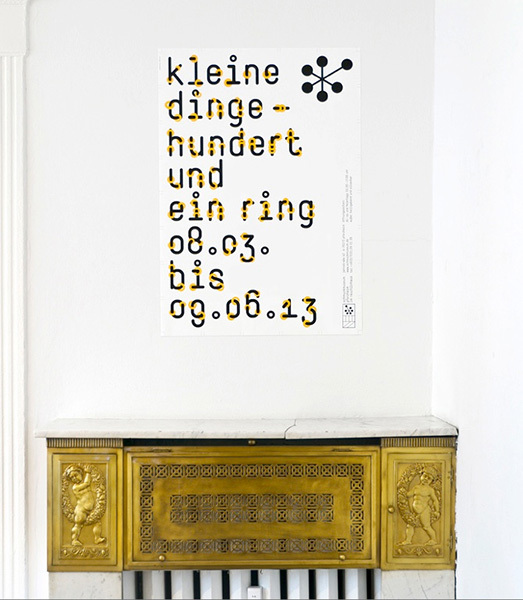 In recent years, Hung engage in CoLab, estab­lishing a new collaborative platform for social inno­vation through design. One of the CoLab projects, So…Soap! not only attracts wide coverage of local and inter­national media, but has also won several pres­tigious awards including Bronze Pencil, Sustain­ability in Design, One Show, New York and Grand Award, Design for Asia Awards, Hong Kong. 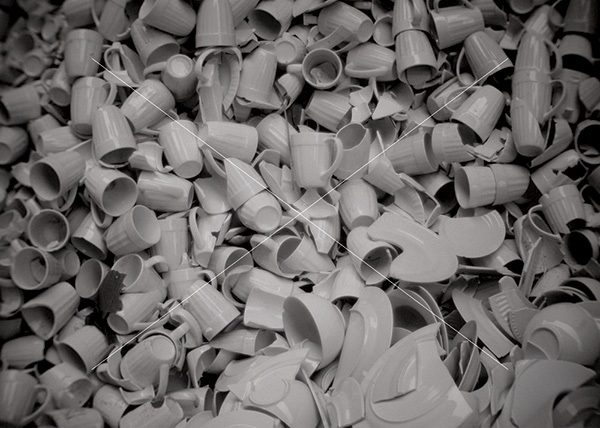 The project was selected by Hong Kong Museum of Art as one of three representing works of Hong Kong to participate in the Liverpool Biennial 2012. Fanette Mellier was born in 1977 and graduated in 2000 at the École supérieure des arts décoratifs in Strasbourg. She performed her vocational training in ateliers under graphic talents like Pierre Di Sciullo and Pierre Bernard. In 2004 she started the independent career as a graphic designer for publishing firms, but also in the cultural and social field. 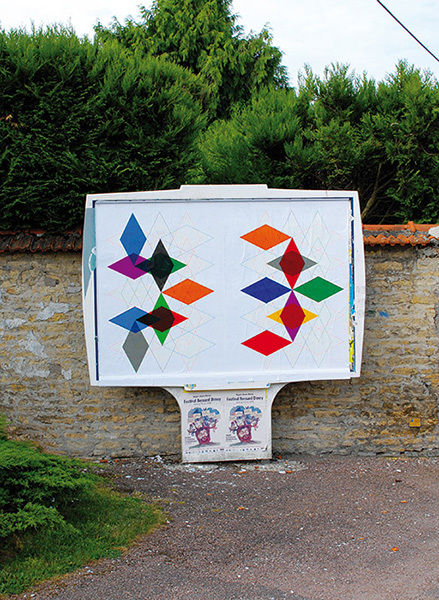 She collaborated with the Festival international de l’affiche et du graphisme of Chaumont from 2007 to 2009, where she realized a project that linked graphic design with literature. Her research is mostly directed toward the printed object. She has contributed to lots of magazines and graphic festivals and her works have been on display in numerous contemporary art museums and centres, such as the Centre Pompidou in Paris. Fanette Mellier was resident at Villa Medici (Académie de France à Rome) in 2012-2013. 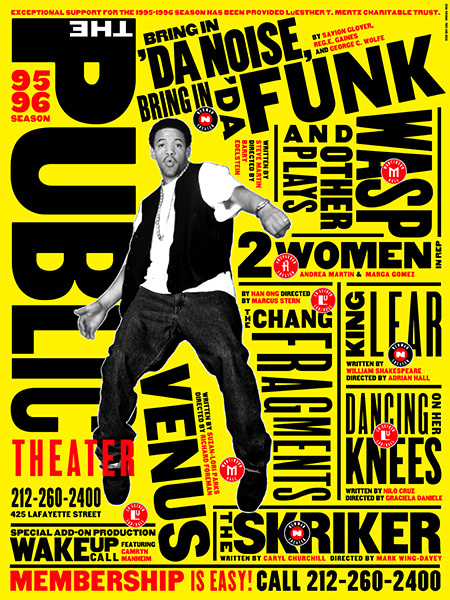 For more than four decades Paula Scher has been at the forefront of graphic design and probably is one of the best known and most influential graphic designers in the world. She began her career as an art director in the 1970s and early 80s, when her eclectic approach to typography became highly influential. 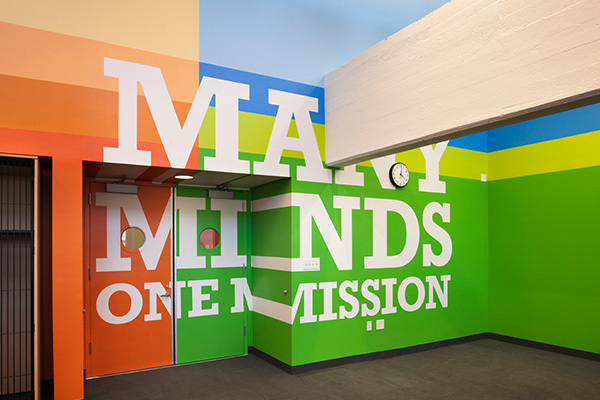 In the mid 1990s her land­mark identity for The Public Theater fused high and low into a wholly new symbology for cultural institutions, and her recent architectural colla­borations have re-imagined the urban landscape as a dynamic environ­ment of dimensional graphic design. During her career Paula has been the recipient of hundreds of industry honors and awards. Her work has been exhibited all over the world and is represented in the permanent collections of the Museum of Modern Art and the Cooper-Hewitt National Design Museum in New York, to name a few. She has been a member of the Alliance Graphique Internationale (AGI) since 1993 and was elected its president in 2009 to 2012. 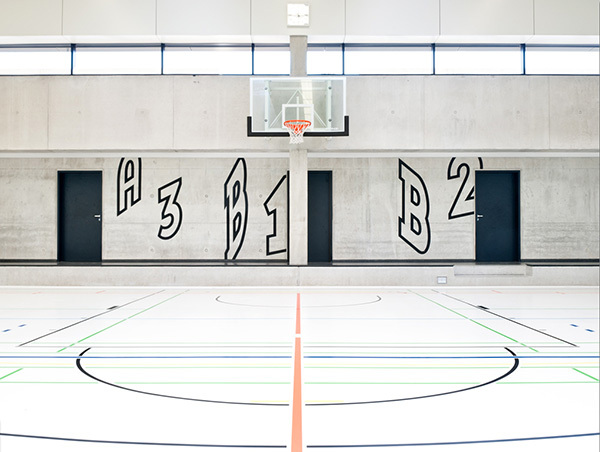 »babel« is an international typo symposium which takes place every year at HfG Offenbach/Frankfurt. The event is created and organised by the head of the Typography study programme, Prof. Sascha Lobe, together with HfG students. 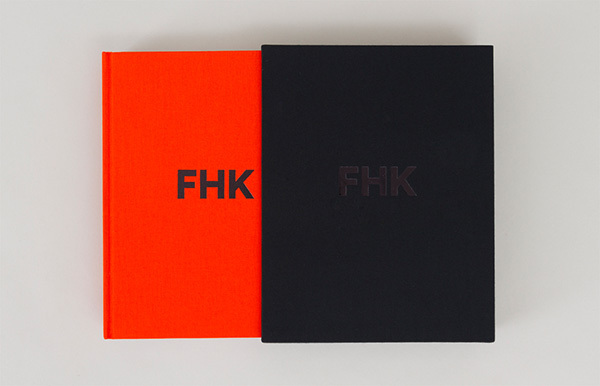 With its art and applied courses of study, HfG Offenbach is devoted to both research and experimentation. 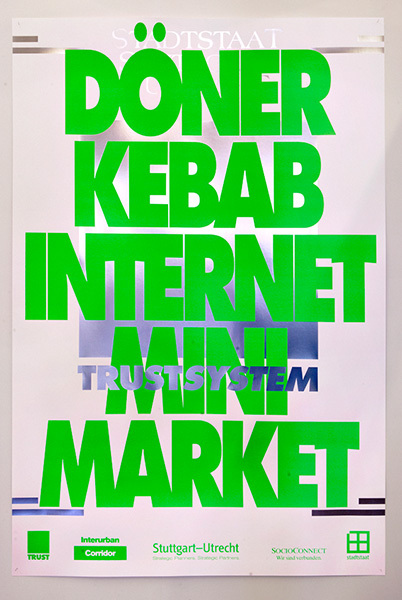 babel looks into questions of typography and con­temporary visual culture in the digital world. The aim of the one-day event is not to demonstrate solutions but rather to juxtapose different positions in order to create a dynamic panopticon.